It's not often that you'll see Nintendo go out of its way to promote Kirby, but the upcoming DS game, Kirby Mass Attack is getting the full tour treatment with a range of customized "Snack Attack Trucks." These trucks will be traveling across America, spreading cheer and food. "Nintendo is deploying customized Kirby Snack Attack Trucks to deliver frozen fruit treats to consumers and fans in select U.S. cities," states the company. 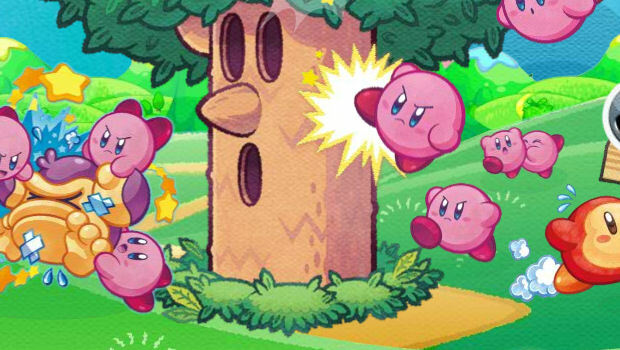 "While enjoying these tasty snacks, participants can enjoy hands-on demos of Kirby Mass Attack, in which gobbling up fruit allows players to accumulate a mass of up to 10 Kirbys at a time. The week before the game’s Sept. 19 launch, the trucks will be making stops near New York City’s Rockefeller Plaza, the San Francisco Bay Area and the aptly named Upper Kirby neighborhood of Houston." The trucks will be in New York on September 14, San Fran on September 14-15, and Houston on September 16-18.